Superb sub tropical Abbotsbury Gardens set in beautiful coastal location close to Chesil Beach. 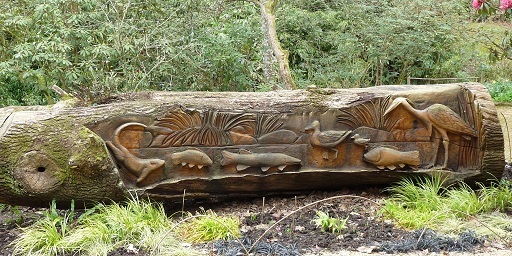 The gardens at Abbotsbury are situated in a valley near the Chesil Beach in Dorset and date from 1762. The sheltered position has enabled sub tropical plants to grow among our native species Formal areas lead to the Valley Garden, a gentle coombe with camellias, magnolias and rhododendrons in woodland. Asiatic primroses border the the banks of the stream in Spring with bridges and crossing paths. Even in summer the woodland has colour with many colourful plants including hydrangeas. There are many fine specimen trees which you would not see growing in this country. 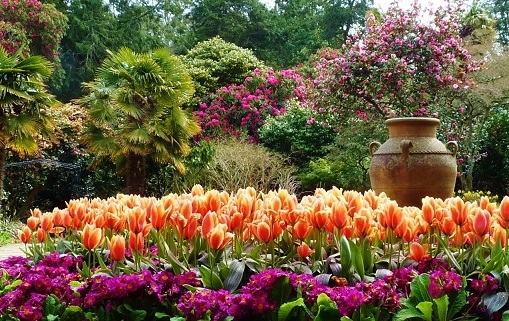 These are gardens which you should not miss and one of our favourites. Each year in October the plants and trees are illuminated in a dazzling display of colours. Take time to visit the nearby Chesil Beach with its display of wild coastal plants especially good in June/July. Walk westwards along tarmac lane by Chesil Beach Car Park. Open 2019 -Abbotsbury Garden is open all year - see website for dates and times. Disbled access to approx 30% of garden. Gift shop, plant centre and Colonial style cafe overlooking the sunken garden. Free car park. 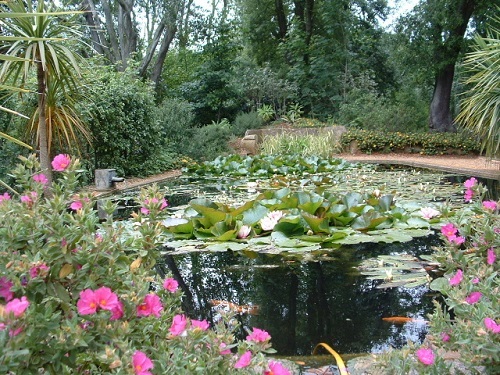 Who designed Abbotsbury Gardens - The gardens are on land surrounding the old Abbotsbury Castle. Elizabeth, Countess of Ilchester created the first gardens and these continued to be developed by Henry Fox-Strangways, the 3rd Earl of Ilchester around 1808. The next Earl, William Fox-Strangways was a botanist and plant hunter who introduced many more species to the Abbotsbury Gardens. At least 2 - 4 hours. Is the garden suitable for wheel chairs? Because the garden follows a natural landscape some of the paths may be difficult. Please see website. Can I get to the Chesil Beach from Abbotsbury Garden? No but you can walk down the lane for around half a mile or take the car. The car park makes a charge. 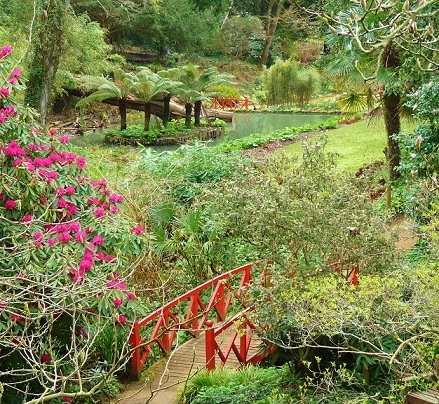 When is the best time to visit Abbotsbury Gardens? The garden has all the year interest but it peaks between April and October. If you want to find places to stay near Abbotsbury Gardens, stay in one of our recommended hotels. 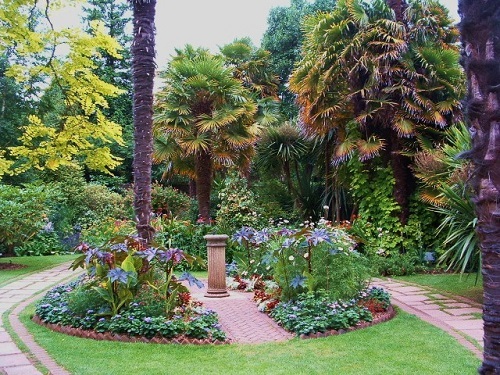 Look now for hotels near Abbotsbury Gardens - click here.